As those who have been fortunate enough to catch them in full flight will testify, a Jaywalkers show is an exhilarating experience. UK-based they may be but many from the other side of the Atlantic have complimented them on their particularly stylish delivery of this virtuosic brand of Americana. These three outstanding musicians have developed a tight bond, demonstrated through their well-crafted, tasteful arrangements and ability to bounce ideas around the stage. 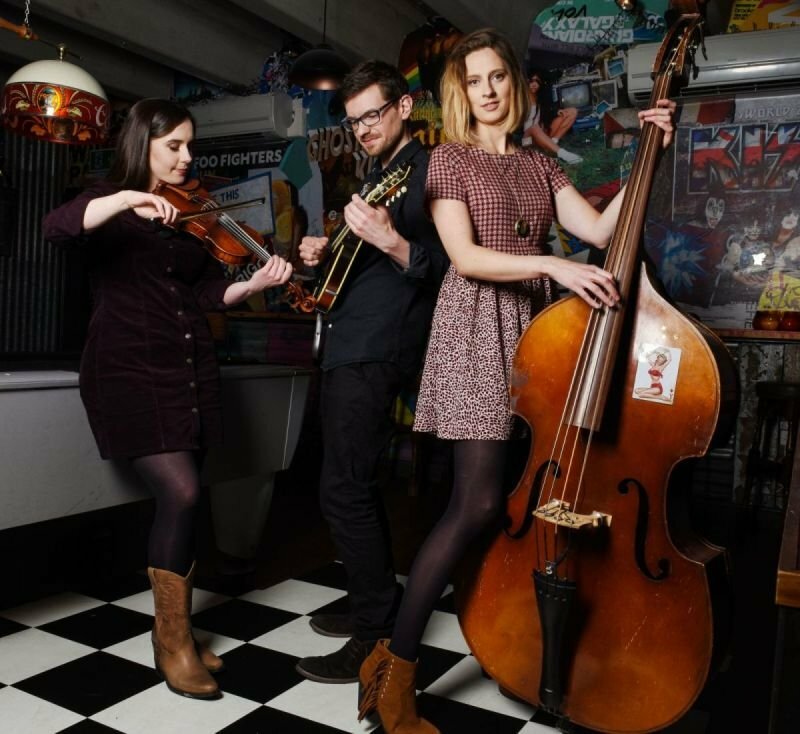 The combination of powerhouse bass, flame-fingered mandolin, blistering fiddle and three-part harmony pack a punch as fiery as Jay’s lead vocals and make a fuller sound than expected from an acoustic trio. Jaywalkers are a real melting pot of their collective inspirations and the influences of their musical upbringings. This is evident in their live sets which come to life in their use of Country heartbreak and Bluegrass dynamism applied to issues of the modern day and life as a touring band. 'Time to Save the World' is their new and 4th studio album, recorded during the peak of the 2018 summer heatwave with the extremely talented Josh Clark as producer, it is Jaywalkers’ finest body of work to date.